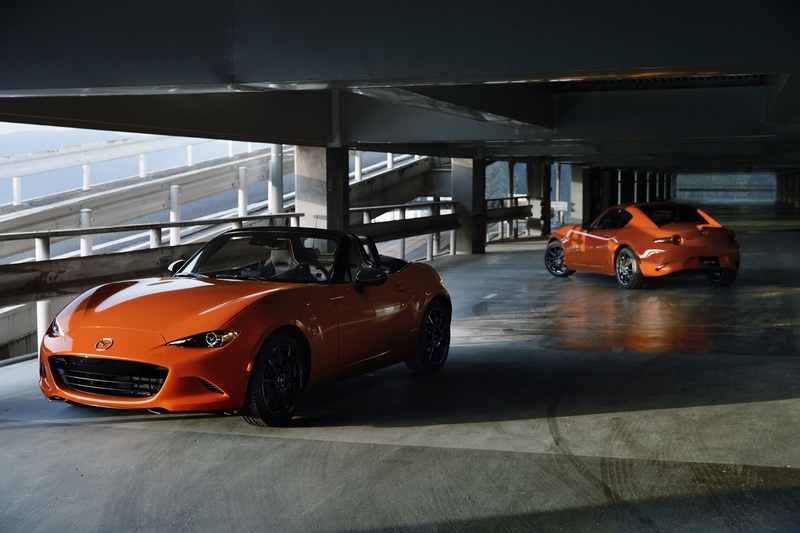 In 1989 the Chicago Auto Show played host to one of Mazda's biggest milestones, the debut of the MX-5 Miata. Now, 30 years later, Mazda is proud to share another milestone at the Chicago Auto Show with the world premiere of the 2019 Mazda MX-5 Miata 30th Anniversary. *MSRP does not include $920 for destination and handling ($965 in Alaska), taxes, title or additional fees. Dealers set actual sale prices. **MSRP does not include $920 for destination and handling ($965 in Alaska), taxes, title or additional fees. Dealers set actual sale prices.